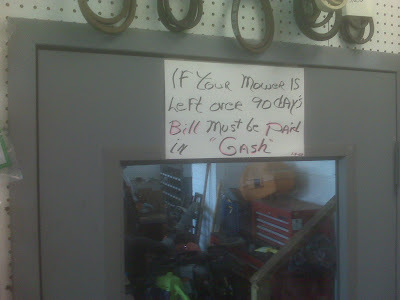 Is it just me or does that sign look like it says the bill must be paid in "Gash"? I think they plan to mow the lawn, if you know what I mean. Thanks, Ben. I believe that "gash" in quotation marks refers to the slang term for a certain part of the female anatomy. That's a pretty damn high price if you ask me. Uh, yeah, that was the joke Captain Obvious.